Canada too engages in an almost identical extortion of money from relatives of those incarcerated. Bear in mind this extraordinary callous punishment is done with the full knowledge of the Federal and provincial governments who make a fortune out of this blatant fraud and extortion. A local call is charged as "a collect call", around $1.50 with up to $2:00 a minute for what they call "long distance", thats right, ancient old CRTC rates for long distance that existed after the second world war are still used to bill those making "collect calls" that almost noone still makes except for prisoners, and most of those have not been found guilty of a crime. 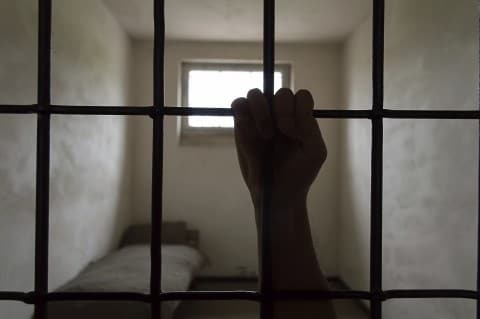 Many are innocent and its just another way of isolation, cruel and unusual punishment especially to those innocent of anything who are locked up in concrete boxes 24 hours a day without exercise of any note or educational activities, or counselling and generally, without the medications they need. In Ontario, its some of the worst jails in the western world, a minority of guards engage in terrorization and abuse of prisoners. There is no point in naming the institutions in Ontario. Just assume that every "correctional institution" is has their share of extreme abuse. At the end of the day its the Provincial Minister who holds the responsibility and we can assume that the new Conservative minister will not raise a little finger and that things will get worse for Ontario Justice rather than better. The conservatives count of the vote from the worst abusers, and turn a blind eye to the enormous costs of turning that blind eye. Examples, it can cost $400,000 to incarcerate a single prisoner who may be there because the Ontario Government has a a policy, "life time bans on legal aid" that are issued at the drop of a hat, upon secret information for which there is no disclosure or accountability. This is due to the apathetic attitude of Liberal, NDP and now Conservative Provincial Governments.